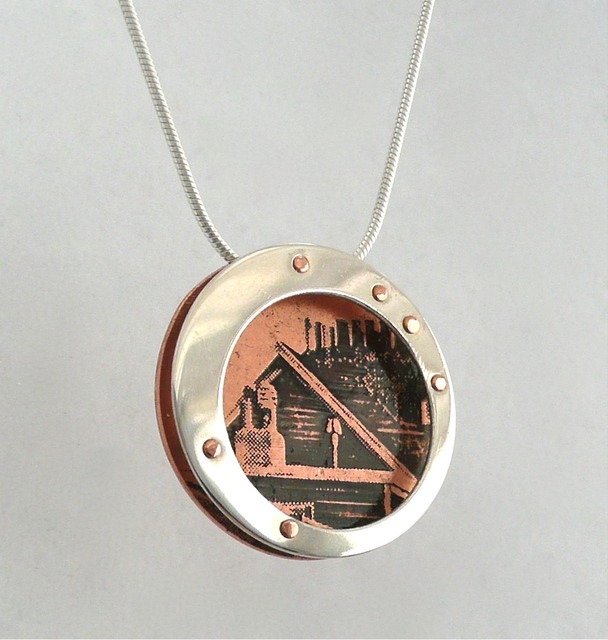 “Porthole Necklace” one of a variety of motifs, photo-etched copper and sterling silver. 1”, 18” chain, 2013. Sold.